When my friends and I come together for lunch, we’re already exhausted from what feels like a full day of work. We have gotten little people dressed, packed bags, mitigated fights, wiped tears in some cases, found things in plain sight in others. We have moved mountains so it isn’t any wonder that we want a lunch to call our own. We want a couple of minutes to eat food that someone else is watching, that someone else hasn’t touched. Frankly, I want to be cooked for, served, and I want someone to clean up for me. I want to order what I want without having to worry about will my kids eat it if after eating their meal they are still hungry! That is why I want to share with you the Best Restaurants in Charlottesville for Lunch. I want to take the guesswork out of where to have lunch in Charlottesville. I go to lunch once a week if my schedule permits it is my time to regain composure and it is the only meal I know I will it without interruption. 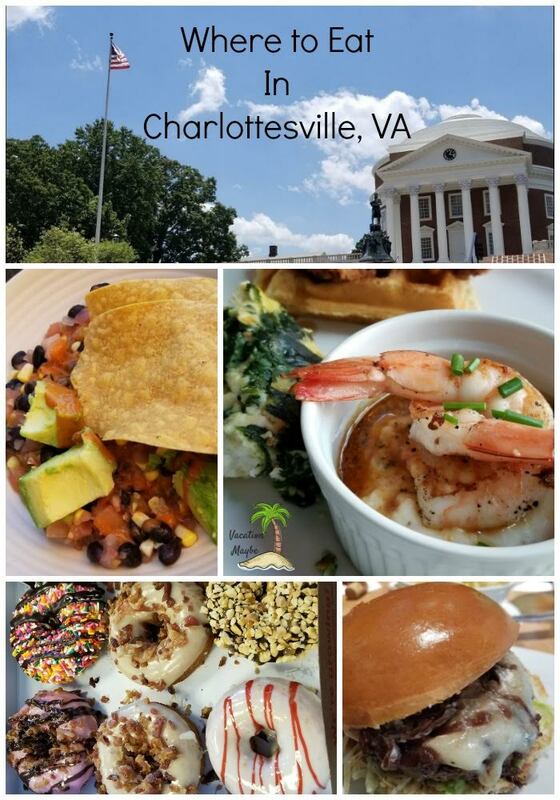 I will organize this post by geographical location so that you can find Best Restaurants in Charlottesville for Lunch. The best brunch in Charlottesville. We went there for our anniversary. The food was most watering. The atmosphere was chic and the prices were fair all you can eat for just $18. 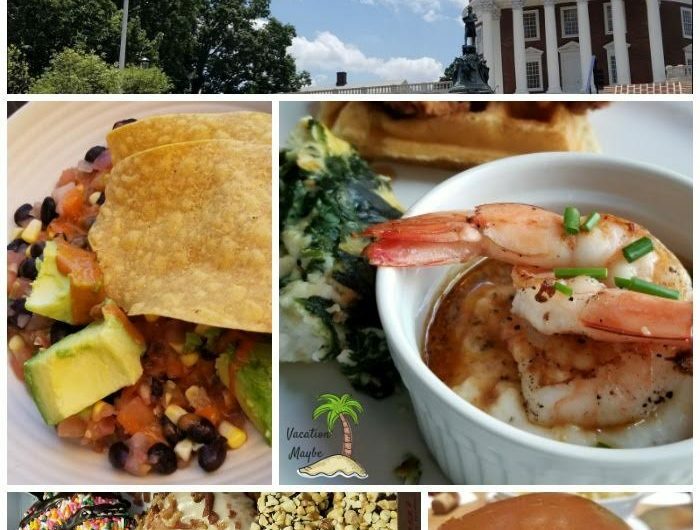 I can tell you that the chicken and waffles and shrimp and grits reminded me of New Orleans. I was prepared to move in but the bench seating didn’t look comfortable enough for a sleep. I highly suggest The Fitz Roy it was incredible. Hotcakes is located in the Barrack Shopping center. You would expect to find a place with such gourmet food to go on to stay in this location. I had a quiche, fruit, and chai while enjoying the free wi-fi. I have had their desserts in the past they are incredible and if you want a fancy meal quick they are the stop to stop at. I enjoy meeting friends there for a quick but satisfying bite. Located in Pantops area of Charlottesville, Virginia Shadwell boast that they use Thomas Jefferson’s recipes. The ambiance is very dark and cozy. A little too intimate for two friends having a weekday lunch. However, we were starving and were not going to let that stop us. Up first we decide to try TJ’s Biscuits. We were curious how one of our forefathers ate what quite possibly could be considered a southern staple. Thomas Jefferson’s version is a sweet potato biscuit with pecans and on the side sage honey butter. They were ok, maybe a little dry. After pouring over the menu I decided on the fish tacos. I opted out of the jalapeno cream. The dish consisted of two soft tacos with cajun seasoned, fried redfish. However, I feel like the cajun flavor was not that strong. Therefore, for me, I felt the tacos were a little bland. I wanted flavor, but not necessarily a spicy or hot dish. This is why I didn’t ask for the cream. I realize this might be an odd pairing, but I like vegetables so for my side I asked for the broccoli with herb butter. This was very delicious. The butter gave it a good flavor and the broccoli was cooked perfectly. My friend chose the half sandwich and soup option. She picked the She Crab Soup and the Buffalo Chicken Wrap. The Buffalo Chicken Wrap had a kick to it and the blue cheese dressing helped to balance out the wrap. The She Crab Soup was delicious and she found it thoroughly enjoyable until she found a shell in it. At that point, she was very hesitant taking each bite. The restaurant had many options on the menu that were considering, so in the event, we go back to Shadwells I believe we will be trying something different. Whisky Jar– The Whisky Jar presents upscale southern food with entrees in the $10- $15. Their claim to fame is locally sourced food. My friend had Chicken and Dumplings soup and a country ham biscuit and I had the pulled pork with broccoli slaw and mac and cheese and cornbread. The Chicken and Dumplings had good flavor was more a chicken soup with a few dumplings. The biscuit was a good size but was too thick for the amount of ham. The ham got lost in the biscuit. The portion sizes were plenty for lunch and we were able to pack up what we didn’t eat for later. The pulled pork was delicious and the cornbread was incredible with a caramel topping. The setting was lovely as the trees are in full fall colors and the downtown mall was bustling with activity. The Whisky Jar offered a menu for everyone but the service wasn’t quick enough. That was the only thing we would change is the Whisky Jar needs to have more staff so there isn’t one person covering outside and inside. Duck Donuts– Duck Donuts is a beloved donut chain that was welcomed to shops at Stonefield about three years ago. The genius behind Duck donuts is that they make plain donuts and then you, the customer can customize the flavor. You can get various types of icing, for example, maple, vanilla, chocolate, strawberry, and lemon. Then you can add powdered sugar or cinnamon. They create seasonal flavors like pumpkin and let’s not forget the beloved maple bacon. Not only can you get donuts, but you can get delicious flavored coffees and various other beverages. Have a seat inside to enjoy your freshly made donut while it’s warm or grab a dozen to take home and put a smile on someone’s face! Kilwins– Stop in this little shop to satisfy your sweet tooth. They have something for everyone. It was quite difficult to choose which kind of ice cream to get. Luckily they gave samples so that I could get exactly what I was looking for. It was a toss-up between Cake Batter and Cookie Dough, but I decided on a scoop of Caramel Ripple which is a vanilla ice cream that has thin chocolate strips and caramel flowing through nestled on a sugar cone. My friend chose a Turtle Caramel Apple which consisted of caramel, chocolate, pecans hugging a tart granny smith apple. This is pure heaven on a stick! They even were nice enough to cut because let’s face it, eating a caramel apple is not the most graceful thing. Kilwin’s also offers various types of chocolates and fudge in addition to the caramel apples and ice cream.